It’s not unusual for a child to become bored and do something stupid. 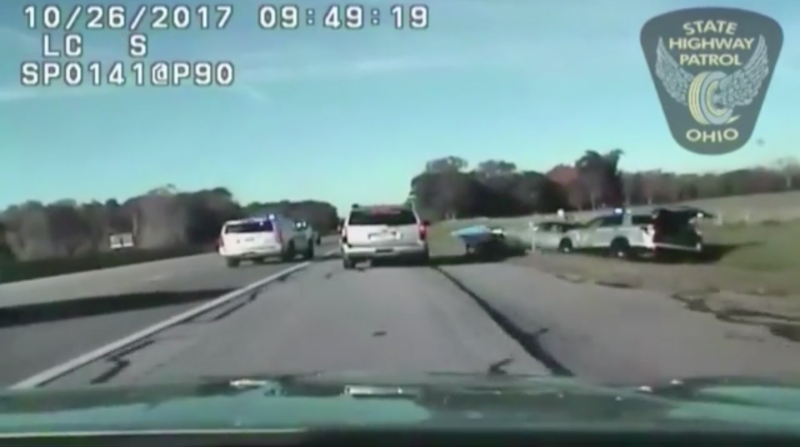 What is unusual is for said child to steal a car and lead a group of police officers on a 45-mile chase. But that’s exactly what happened in the good ol’ US of A yesterday morning. An unnamed 10-year-old boy in Cleveland, Ohio, was waiting for his sister to take him to school. However, he got a bit impatient, so hopped into his mother’s boyfriend’s car and hit the open road. The boy’s mother got in her own car and set off in pursuit, calling 911 to say she was following her son along West 117th Street, on to Interstate 90. 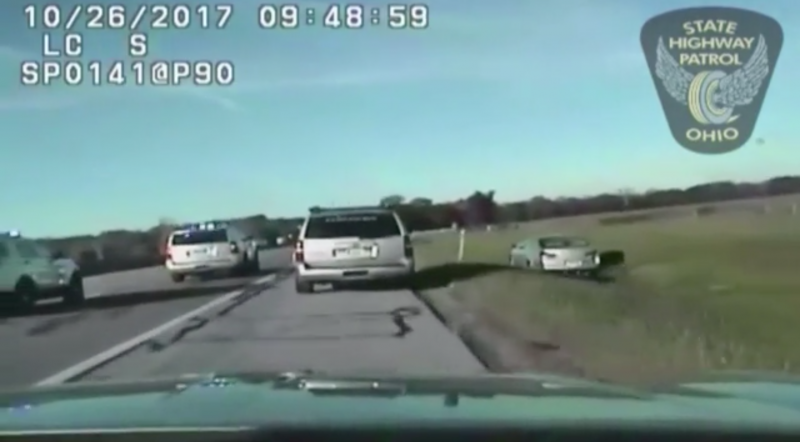 Following the phone call, officers from Ohio State Highway Patrol quickly caught up with the boy, who was driving at speeds of up to 100mph. According to Cleveland.com, one officer pulled alongside the child and signalled for him to stop, but the minor simply shook his head and carried on. 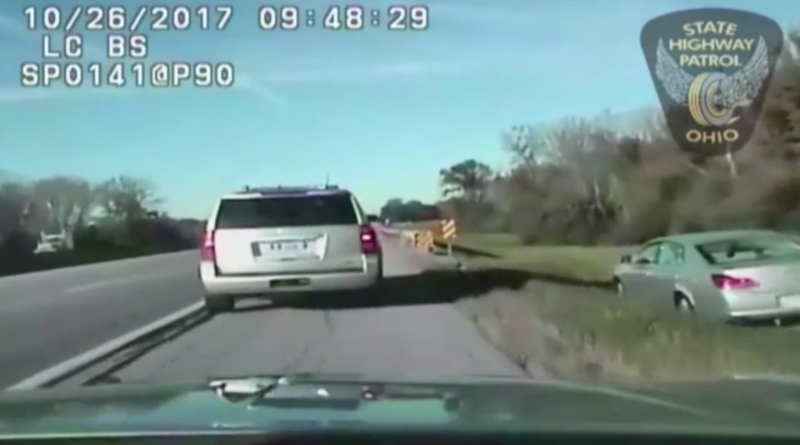 At one point, the boy went off road to avoid a spike trap, as dramatic dashcam footage from one of the police cars shows the silver saloon tearing along the grass verge at the side of the highway. Officers decided that, in the interests of keeping other motorists safe it was best not to let the child back on to the road, so performed a blocking manoeuvre to prevent him from rejoining traffic. 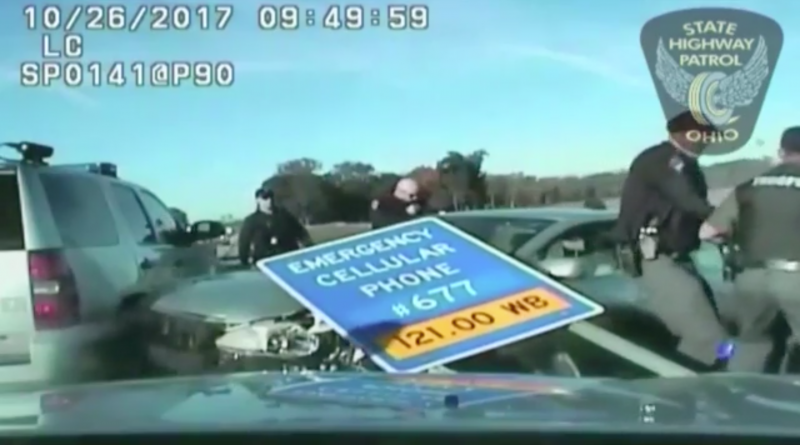 Having received permission to force the boy’s car to a stop, one officer drives his SUV towards the stolen car and rams into it, causing the child to lose control of the vehicle as it crashes into a road sign. With the vehicle now at a standstill, several police officers surround it on foot and try to get the boy out of the car. It turns out, though, that the child wasn’t keen to co-operate, as officers are forced to drag him out of the driver’s side window and out of shot. Lt Richard Reeder told Cleveland.com that, off-camera, the boy kicked and spat at the boys in blue. The chase ended after nearly 80 minutes, with the boy being taken away in handcuffs. Thankfully, no one was injured. When asked by police why he had driven off in the car, the boy claimed that it was because he was bored. 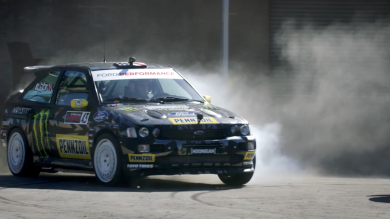 You can see the footage of the chase in the video below. 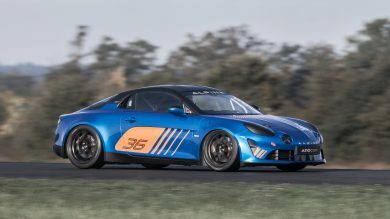 Are you ready for Alpine’s 270bhp track-only A110 Cup?